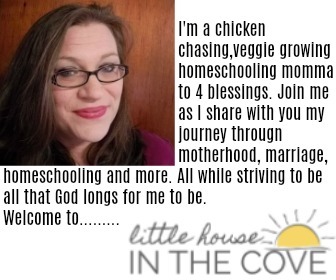 As a mom of many here are a few things that I have learned along the way that just may help you to ease into motherhood. 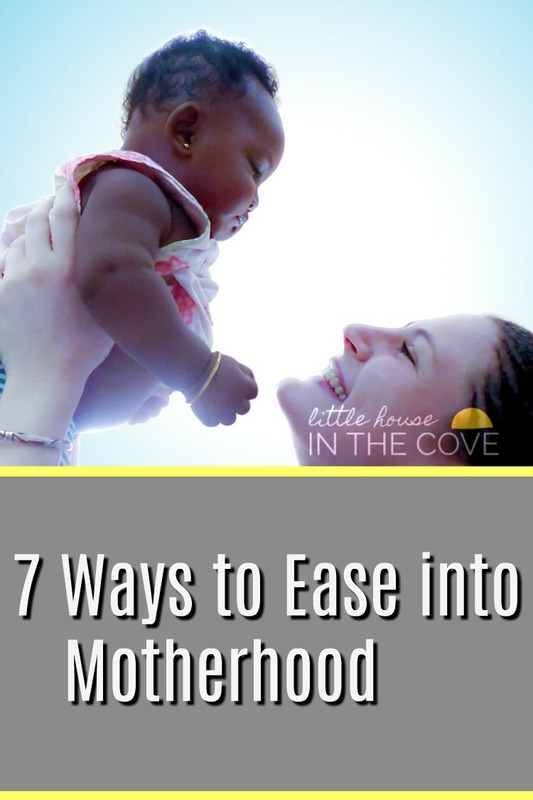 Today I am sharing just a few tips that I think you will find helpful in your beginning months of motherhood. It is vital that you get your rest after having a baby. Your body has worked very hard at creating a new life and birthing it. This is particularly true if you’ve had a c-section (even a planned one). You will be up several times through the night feeding and comforting your baby at the beginning, so when your baby is sleeping is the most logical time for you to rest. I think all would agree that breast milk is the best kind of food we can give our babies. That said, if you have to supplement at first, don’t sweat it. Don’t feel like a failure and don’t hesitate to feed your baby if he’s hungry and you are low on milk. Of course, I would add that while you are supplementing, do all you can to increase your supply. I have written some tips here on how to increase your supply. However, do not place a burden of guilt on yourself if your body doesn’t make enough milk at the beginning. This is one thing I have failed in greatly. I wish I could remember to take my vitamins regularly. Your body is expending a great amount of energy. First of all, in the first days/weeks you sweat a lot, you are feeding your baby (giving him/her vitamins, minerals, fat, and energy), and your body is struggling to recover from an enormous ordeal. Feed your body what it needs – healthy food and vitamins. There is always a mother out there whose kid slept through the night at 2 weeks, who managed to get her baby on a schedule at 1 1/2 months etc. There are books that hotly debate both sides of the equation. Don’t wear yourself out trying to fit your baby into a mold. Schedules have their place, but if you try too soon all you will do is torment yourself. Yes, you are tired and want to have predictibility – it will come in its own time. My baby began falling into a predictable pattern at about 4 months. Relax. Get good rest. You’ll know when its time. By the time I came home, I had been in the hospital for 3 weeks. Needless to say, I missed people! I wanted to go to church, I wanted to show off my son, I wanted to see friends – but one must know what their limits are. Thankfully, I waited. Too much too soon can tax you psychologically. Most likely you will struggle with baby blues or even postpartum depression. Too much company and too much travel will only exacerbate that by exhausting your precious resources. There will be time for all of that: your church will still be there, your friends will still be there, you can take pictures every single day and show people what your baby looked like in those first few days. Whatever you do, don’t overdo it! 2. by forcing myself to become involved in various activities – not despite my lack of interest, rather because of it. I did not want to get in the habit of pulling away because of lack of interest. Your husband has just watched his wife go through hormonal disruptions, body mutations, unbelievable pain; his home has welcomed a new member (a rather loud one who is now keeping him from sleeping). His wife is now going through a whole new set of changes: her hormones are once again disrupted while trying to readjust themselves to normalcy, she is trying to recover from childbirth (something that should never be taken lightly), and is entering a phase of exhaustion only known to mothers. He has no idea what it is like to have our hormones wig out like they do in pregnancy and post-partum. He hasn’t a clue what to do and is likely afraid that whatever he does it will be the wrong thing. He is outside of the picture trying to guess what it is all about and without our communication understanding the picture is like trying to figure out a Picasso. It is not fair for us to expect our husbands to understand us and what we are going through if we do not adequately communicate with them. If you are depressed, share it with him; if you have no desire for intimacy, let him know (but when you are medically able, be sure to meet his needs despite your own lack of desire – we can always find it within ourselves to be loving); if you are feeling like you are about to go crazy with sleepless nights, endless crying, and piles of laundry, let him know how he can help you.